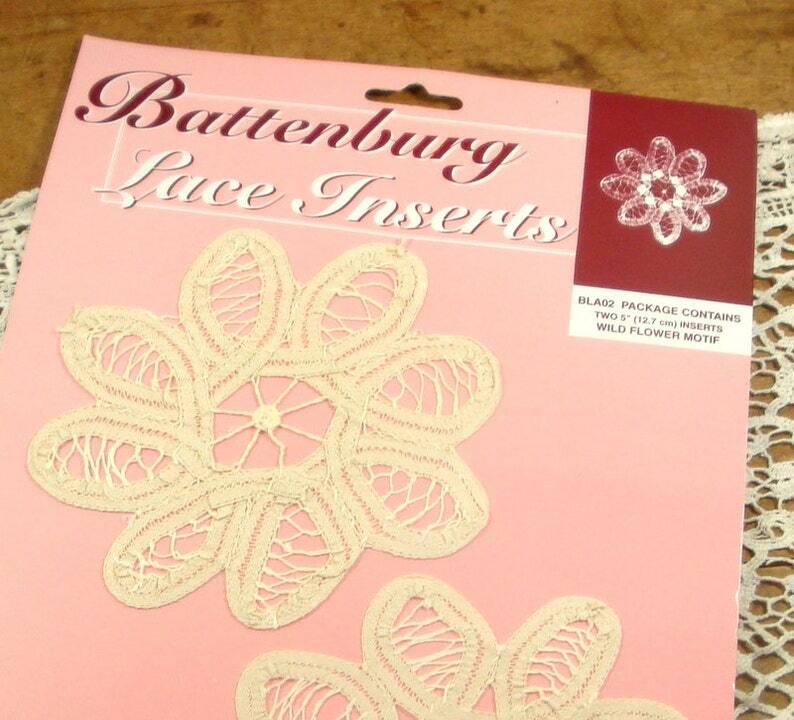 Battenburg lace inserts with a wild flower motif. You will receive 2 appliques. New old stock, removed from original unopened package to photograph. You can sew, glue or iron on with a fusible web. Fray check is recommeded to protect edges if you cut the appliques. Hand wash.. Use as a decorative touch to your next sewing or crafting project. Measures 5". Fabric content unknown. Color is a ecru..
Return to AntiquesGaloreGal and thank you as always for taking the time to look. I'll always combine your shipping charges at checkout. Ecru Lace With Ribbon Insert Hole, Lacy Sewing Crafting Trim, 52"
This is the same cross stitch book I used in the 80’s. Everything always comes back around. Thank you so much. I am so happy. I use the mail box from this book and cross stitch on 8 count and that allows me to enter the last name on the mail box. I am doing this for a gift and for myself.